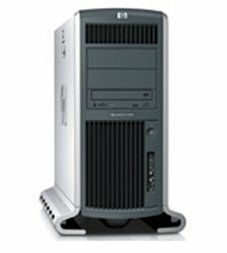 The HP A5983A, B2000 is part of HP’s PA-RISC Workstation line. Handles low- to mid-range mechanical and electrical design tasks, and provides long-term stability for embedded solutions. Includes low maintenance, a great choice of graphics and a desktop or rack-mount configuration. Building Block Computers can supply you with a choice of these HP A5983A B2000 desktop and rack-mount configurations. From Fully configured systems to upgrades, peripherals and spare parts, we can provide refurbished quality parts all backed with a full 90 day warranty. To receive a quote for the HP B2000 400MHz UNIX Workstation fill out the form below, or call Building Block Computers toll-free at 1-800-272-2650.